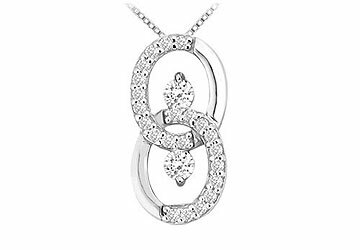 Two round cubic zirconia accented circles interlock to form an exquisite 8 figure. each round has one prong-set brilliant-cut cubic zirconia. Made in 925 steting silver this pendant has a total weight (TGW) of 0.25 ct.